You know that an SPF has an acceptably pleasing texture when you mistakenly use it as a serum, at night, for more than two weeks in a row. 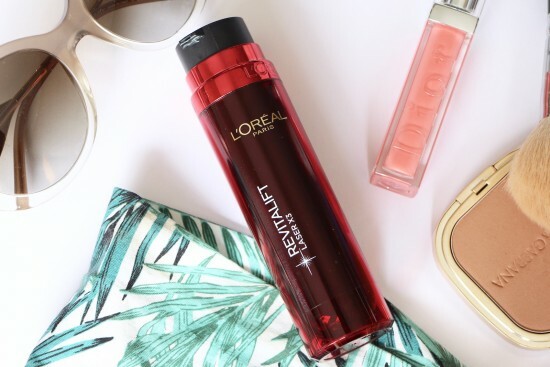 I had no issues whatsoever with L’Oreal’s Revitalift Laser Renew Day Cream as a night serum, which is worrying on my part (my notes read, shamefully, “it’s not very serum-like – thicker, very moisturising and smells of holidays!”) but great if you’re looking for a daily face cream that doesn’t feel chalky, leave a residue or clog up your pores. No breakouts here, and that was with a night cream over the top as well. Oh dear. You’ll have to excuse me – I’m usually very methodical when it comes to testing my skincare products, but I just got it into my head that this was a serum (maybe because it was a long, tall bottle next to the stout pots that house L’Oreal’s other Revitalift creams?) and didn’t think to check. The “Laser X3” on the bottle threw me, too, because it’s the sort of terminology I’d associate with a serum. As it turns out, the Laser Renew Day Cream is rather more than just an SPF; it contains 3% Pro-Xylane, which is L’Oreal’s anti-ageing powerhouse ingredient, stimulating collagen synthesis and regeneration of the epidermis as well as helping to correct hyperpigmentation. Add to that a form of salicylic acid (exfoliates dead skin cells, antiseptic, anti-inflammatory), retinyl palmitate (helps with wrinkles and dark spots) and niacinamide (my love for this ingredient has been well-documented, a quick summary here) and you have a very nice all-rounder that covers all bases and – most importantly – protects against sun damage without feeling claggy or gross. When I say “gross”, I mean that grubby sort of feeling that often comes along with SPF, when you put it on and feel desperate to wash it off again ten seconds later. None of that here; it’s a bouncy, almost gel-like texture, moisturising without any greasiness, quick to sink in and leaving the skin nicely prepped for makeup. Not at all like a serum, now that I know it’s not one, but what a happy accident! You can find Revitalift Laser Renew Day Cream SPF25 online at Amazon here – it’s £13.01 (free next day delivery with Prime) or Boots currently have it online for £13.33 here.